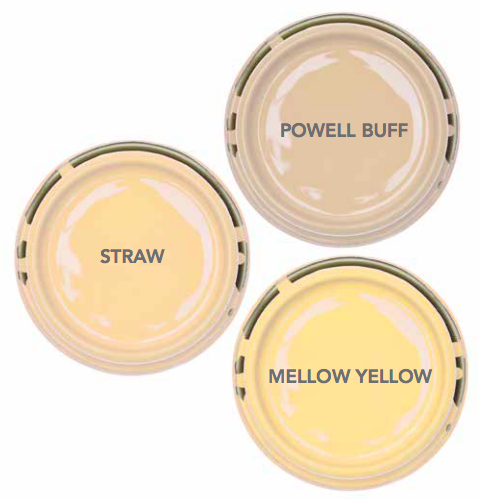 Powell Buff, HC-35—In daylight, it looks beige. In lamplight, it looks yellow. In any light, it is lovely. Straw, 2154-50—Warm up a hallway or living room with this great shade of wheat. Mellow Yellow, 2020-50—This practically primary hue is perfect for a lively playroom or home gym.